Mention it because Washington is in the grip of a most unusual heatwave. It's been really hot....... with temps that we don't usually get until August. Maybe. It was 105 in Ellensburg; 109 down at the bridge and 104 here in Spokane. The fire season is going to be awful; they've already had hundreds more so far in 2015 than last year..... and it's only June. But you have weather awfulness in your part of the world too. The speaker at our conference was David Rencher. Lucky for us, his wife has ties to the area and so he was agreeable to coming. David has been a "bigwig" with FamilySearch for 34 years and he KNOWS his stuff. 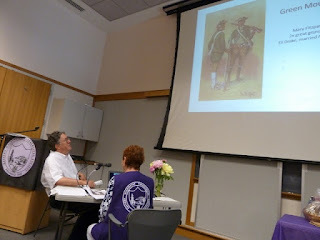 He started us out with questions: "Have you a tough genealogy problem? Worried you won't solve it in your lifetime? Do you keep doing the same-old-same-old things and wondering why you have no new conclusions or answers? He then told us how to "frame the problem differently." Simply put, how to look at the problem differently. His point with these images of the Golden Gate Bridge is that, with regard to your tough genealogy problem, you're looking at the bridge as your drive on it. That's all you see. But if were to see it from a boat or from the air, you'd have an entirely different perspective. You "must frame your picture differently" and then from that new angle you might see things that you did not see before. Like looking at the Golden Gate Bridge from three different angles. Another website that does pretty much the same thing is Kinpoint (www.kinpoint.com). I've mentioned that before. Rachel Dolezal has recently stirred up a controversy concerning he ancestry. She resigned Monday as head of her local NAACP chapter after reports surfaced that she was born white yet has claimed she is black. If you are not familiar with this recent news story that has been on all the news networks, start at https://goo.gl/QykhVSto find a few hundred reports about her recent controversy. 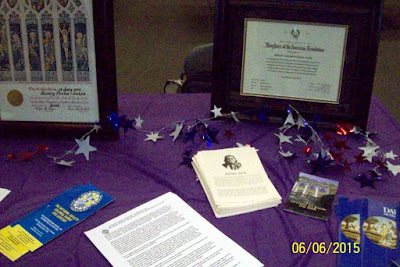 Now a professional genealogist says that Dolezal's claim is bogus. 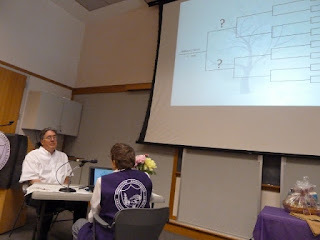 Professional genealogist Elizabeth Banas has researched Dolezal's ancestry back to 1671 and found that her family were entirely white, including some who were Mormons. Archives show that Rachel’s ancestors came to the US from Europe and have no bloodlines linking them to slaves or to Africa. 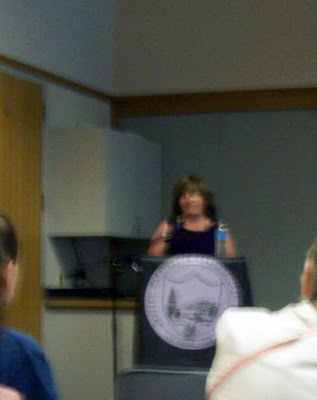 Even a great grandmother who has almost identical features to Rachel was identified as white in two census documents. Of course, there is always a possibility of an adoption that cannot be found in official records or that a baby was switched with another at birth. However, Dolezal's parents claim that is impossible. They say Dolezal was born at home and spent her entire childhood living with her biological parents. Details may be found in the Daily Mail at http://goo.gl/FzWemn. your customers can see and use it without stopping some one to find it. than an idle clerk can make you money. DON'T look mad when a customer asks to look at your Directory. 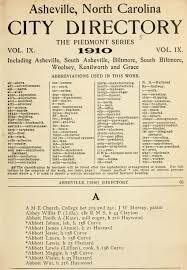 when would the next Directory be published? and a merchant that has no Directory is what? tomorrow and you will call him what? gets for nothing what another man pays for. What do you call him? We think of a City Directory as a past-tense resource. 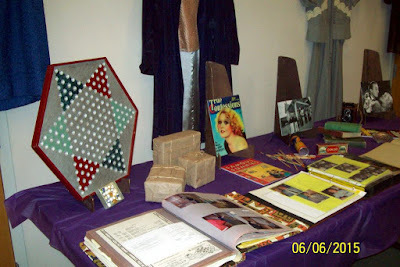 But to the merchants and civil servants of the day it was a valuable day-to-day "now" resource.......... and one that was obtained only by paying a fee. The website for Washington history is www.historylink.org , The Free Online Encyclopedia of Washington State History. This is such a fun website to go browsing in, especially if you're a student of eastern Washington history. Did you know that the first train to arrive into Spokane Falls came on June 25, 1881. Quoting from the above website, "Almost the entire town turned out to greet the officials and passengers. Graham's Band provided music. When the train arrived, the band was almost drowned out by the bell, the whistle and venting steam. Dignitaries read congratulatory telegrams to the crowd and afterward enjoyed refreshments and social events." 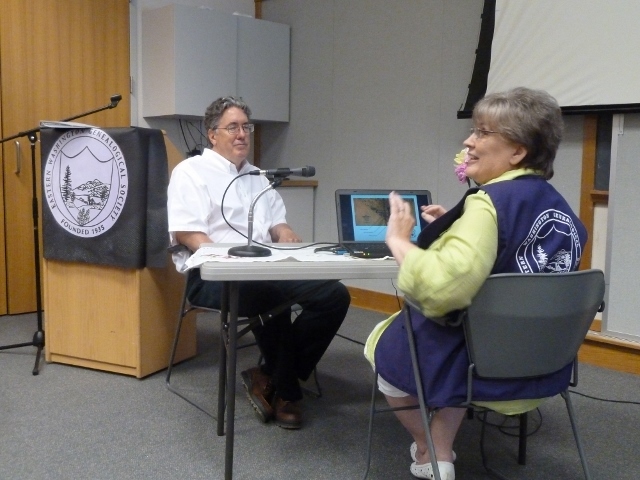 Did your eastern Washington living ancestors come on the train? Would have been after 1881, right? 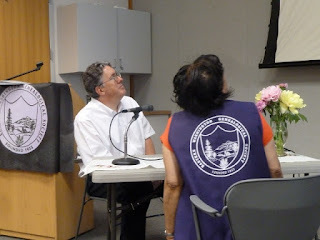 The Victoria Genealogical Society is proud to report that our 2015 Annual Seminar Program is now finalized for October 24th at Victoria, BC, CAN. I wanted to let you know with the hope that you would pass this information to your members and followers. 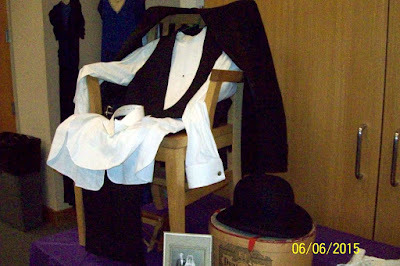 Some may like the idea of combining a visit to Victoria with genealogy......a great little get-a-way. 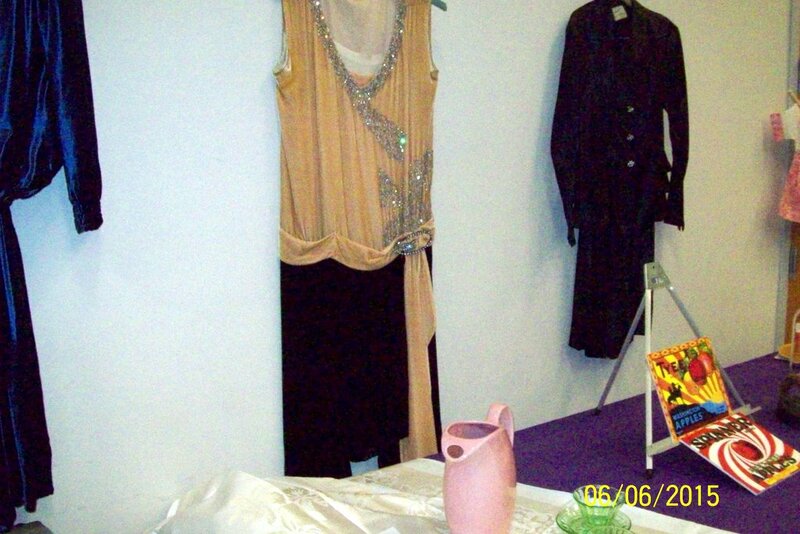 Spokane, Missouri........... Did You Know? The city of Spokane, Washington takes its name, which means "children of the stars or the Star People", from the Spokane Tribe of Native Americans. Isn't this what we've always been told? And that's what Wikipedia says too. 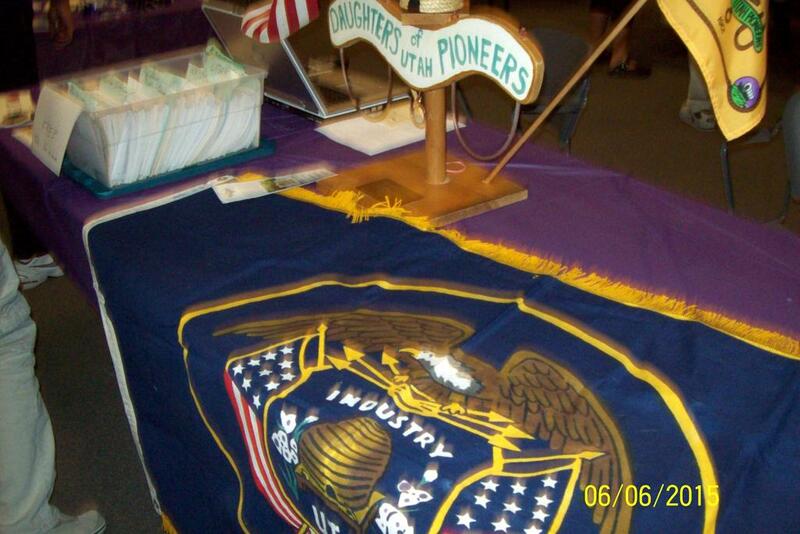 Imagine my surprise a few years back when I discovered a Spokane, Missouri. This town is large enough to have a high school! How did that happen? How did a town in Missouri get the name Spokane? At a recent visit to my sister-in-law's in Kansas City, Missouri, I was browsing her "Missouri Place Names" book. 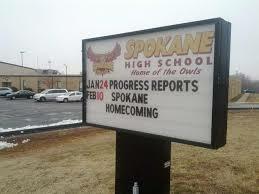 Know what it says regarding the origin of the town of Spokane, Missouri??? The book says the town is named for Spokane, Washington! Now don't that beat all, as they say. A while back Eastern Washington Genealogical Society decided due to cost of postage and printing to stop printing and mailing the membership list to our members. The membership list is on the society website and our webmaster set it up so you could download a PDF file of the membership list if you wanted a copy on your own computer, so I downloaded a copy for me. It was 22 pages long and included a nice cover page and the society by-laws just like the old copies we used to receive by mail. Since it was a PDF file I went to Adobe Reader to look at the file, and since I wanted a hard copy for a project I was doing I wanted to print a copy. When I went to the print box up came a list of ways to print the file, and one said print a booklet, so I hit that one and the printer started printing. What surprised me was it printed half size, so two pages on each sheet, and then it turned over the paper and printed on the back of the same sheet of paper. Out came 6 pages all in order and when folded in half I had the whole 22 pages printed. Now I had bought a new printer a Brother all in in one, and it had duplex printing. I did not have a clue what that meant until I found out it will print on both sides of a sheet of paper which is a big paper saver. I also have an older Kodak printer and I did not know it had duplex printing also, but it does and will print booklets also. So do you have a duplex printer? Have you printed a booklet? 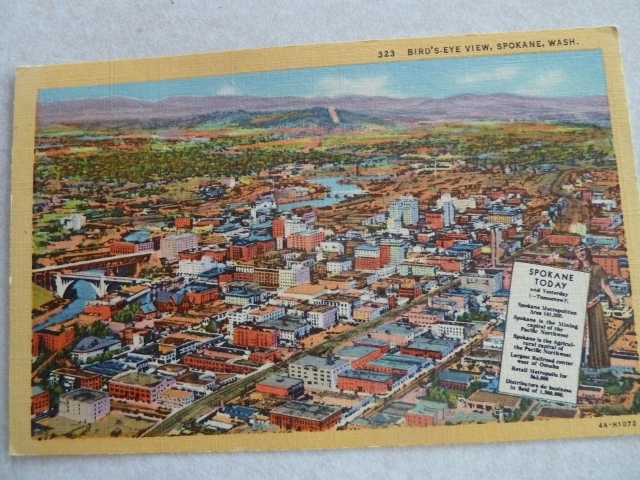 View of Spokane: What Year Was This Taken? What year was this taken would you guess? After the Monroe Street bridge but before Lady of Lourdes Cathedral? Before the Review Tower? After the Paulsen Building and the Steam Plant towers? There is nothing on the card, front nor back, that gives a clue to the date. 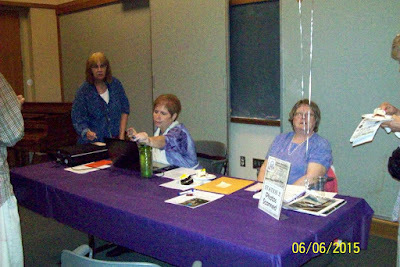 Kudos especially to Barbara, Mary, Patricia and Dolly for doing such a great job on the project Paul Turner: Who Do You Think You Are? 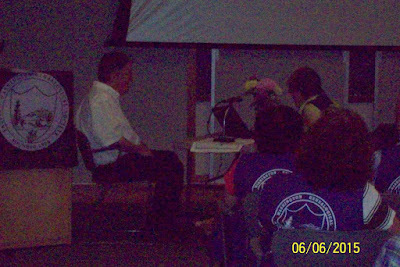 They four took turns presenting information on one of Paul's grandparent's lines and all but Mary had wonderful tales to tell. 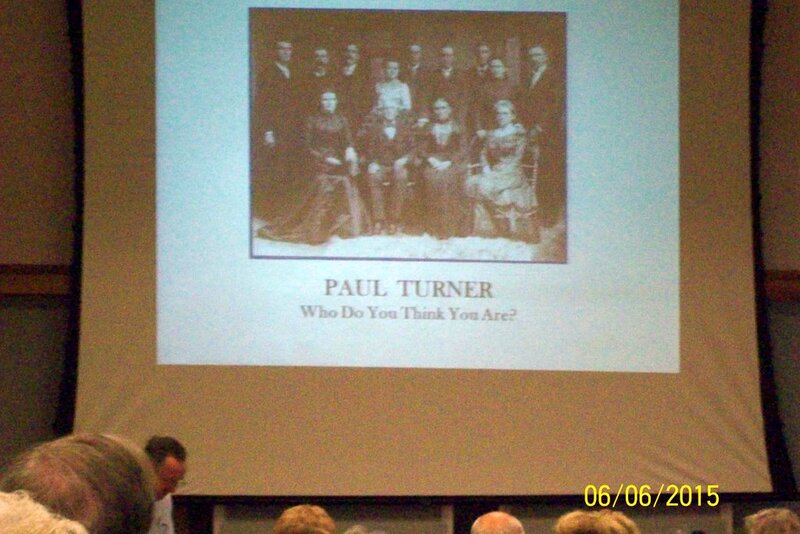 Her part was the Turner line and even with all four of them working on this, Paul's Turner ancestry remains a mystery. Paul's interest was really piqued with Dolly's sharing that his ancestors were involved with Ethan Allen and the Green Mountain Boys. Barb noted that his ancestors had rubbed elbows with Abraham Lincoln. 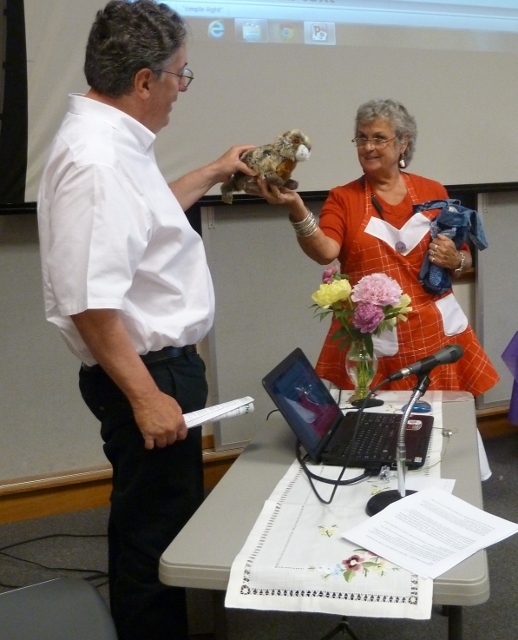 To finish the presentation, and because Paul is the Grand Poobah of the Marmot Lodge here in Spokane, Donna gave the Marmot Genealogy and presented Paul with a stuffed marmot of his very own. We all agreed: we want to be around in 2035 for the 100th anniversary of EWGS! The Cakes, one chocolate and one white. 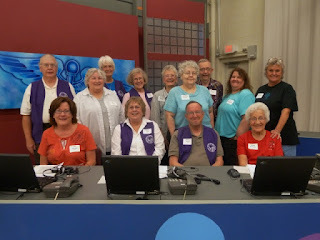 Thanks to our EWGS coordinator for the KSPS pledge drive dates, Cheryl Beck, we had a wonderful social evening and raised nearly $10,000 for KSPS public television on Monday evening, June 1st. I found it interesting that most of the phone calls (making pledges) come from Canada and it is easy and delightful to chat with a person of Canadian accent. They do love KSPS and their pledges reflect that feeling. Mabel recruited her daughter, Lisa, to join us. Mike always brings his friend, Kari, and his sister, Sarah. Charlotte was a first-timer and caught on in a snap. Cheryl, our coordinator, sits proudly in front (white blouse). 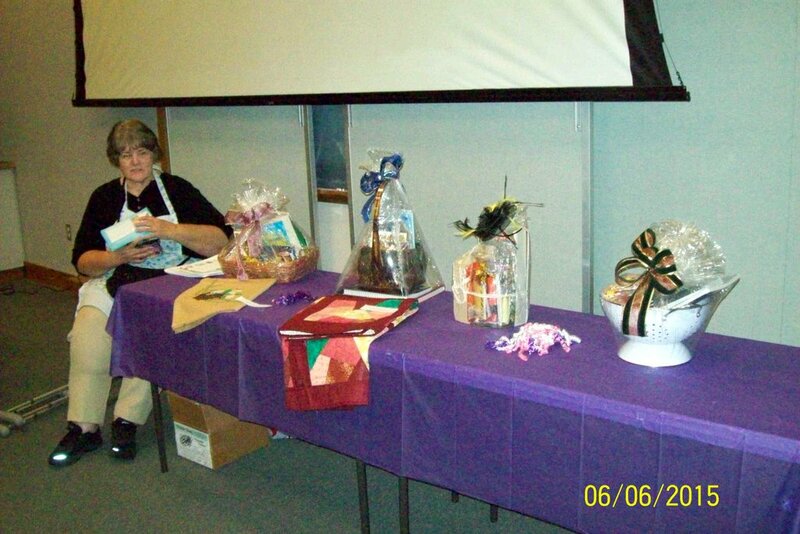 Oweta, our EWGS treasurer, signed up Kari as a new member! Jennilyn, Charles, Pat, Doug and I were happy to be a part of the evening. We bring finger food and Mike's Chocolate Brownie Cakes (one plain fudge frosting and one with peanut butter fudge frosting) were yummy beyond description. Perhaps you will be part of our next KSPS pledge drive evening? Whenever they notify Cheryl that we are needed, we'll call you??? 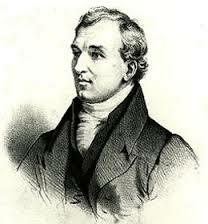 David Douglas was born in 1799 in Scotland and died in 1834 in Hawaii. 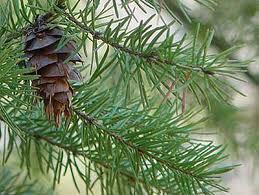 In between he traveled all over Canada and the Pacific Northwest; our majestic Douglas Fir tree, with its unique feathery cones, was named for him. "Early the third morning, as the men crested the divide between the Colville and Spokane drainages, the woods opened up to offer 'one of the most sublime views that could possibly be, of rugged mountains, deep valleys, and mountain rills' The switch from mixed coniferous forest to the drier, more open habitats of bunchgrass and Ponderosa Pine appealed to Douglas. The trail wound down to the Spokane River (near present-day Tum Tum) then followed grassy benches upstream to its confluence with the Little Spokane. There, in the summer of 1810, Jaco Finlay, working as an emissary of David Thompson, had constructed the fur post known as Spokane House. 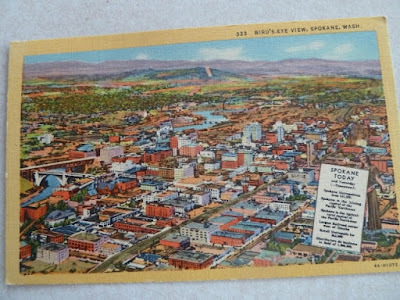 ..... On the pleasant spring day that Douglas rode into Spokane House, the 58-year-old Finlay received his guest with a meal of camas, bitterrott, and cakes of black tree lichen....."
There is your spotlight on Eastern Washington history for today. Hope you enjoyed it! 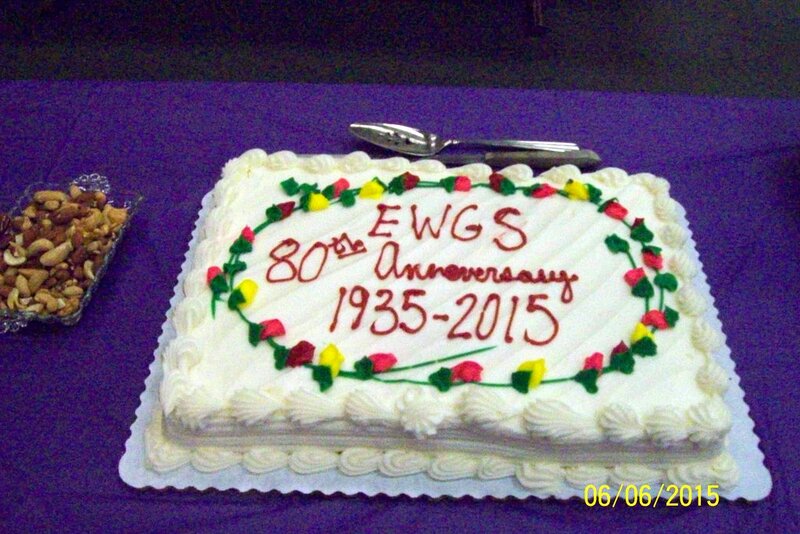 Come Join the Fun at the EWGS 80th Anniversary Celebration on June 6th! EWGS turns 80 years old this year! 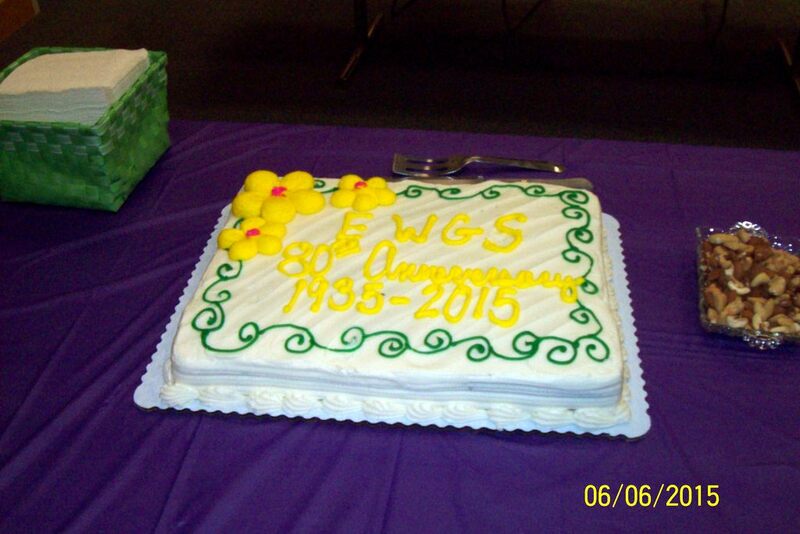 To mark this occasion, EWGS is offering to members and prospective members (anybody and everybody) an invitation to come attend our celebration party! We're calling it Your Story Starts Here! 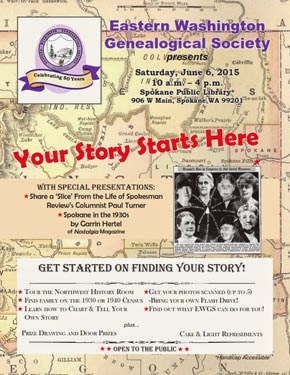 It's on Saturday, June 6th, our regular EWGS meeting date, but this is not a regular meeting. The day will run from 10:00 to 4:00. 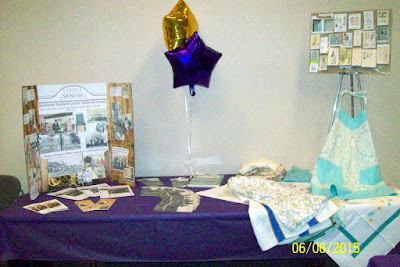 As you enter the library you will be given an EWGS Passport which you will take to Six Stations in the library to learn more about EWGS, about our genealogy collection, about how to fill out genealogy charts, how to tell your story. At each station, you'll get a stamp on your passport and a fully stamped passport puts you in the drawing for our prizes. 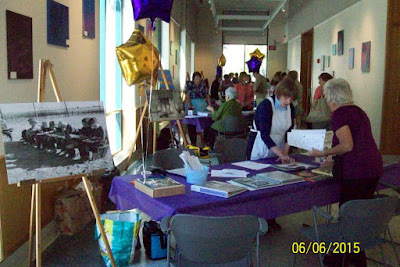 There will be cake and punch, there will be free EWGS pencils, there will be all sorts of handouts and there will be Dorothy Dean recipes from 1935 as they appeared in the Spokesman-Review. Hope you plan to come, spend the day, and please bring a new-member friend. See you there!